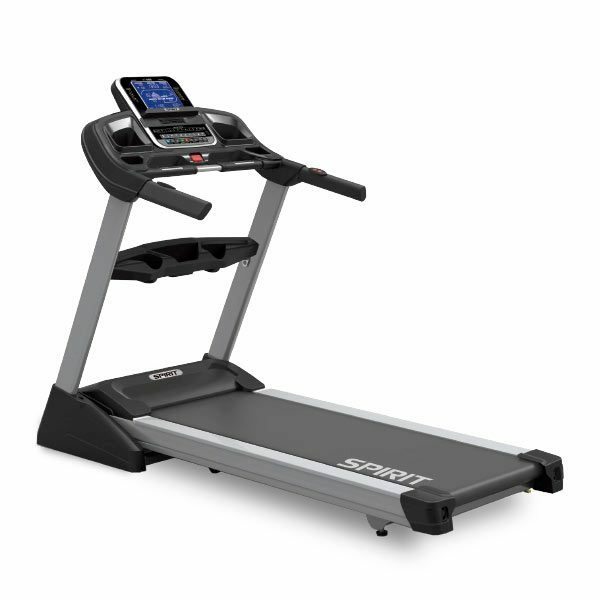 The Spirit XT485 Treadmill has the same options as the Spirit XT285 and Spirit XT385, plus 2 more programs. 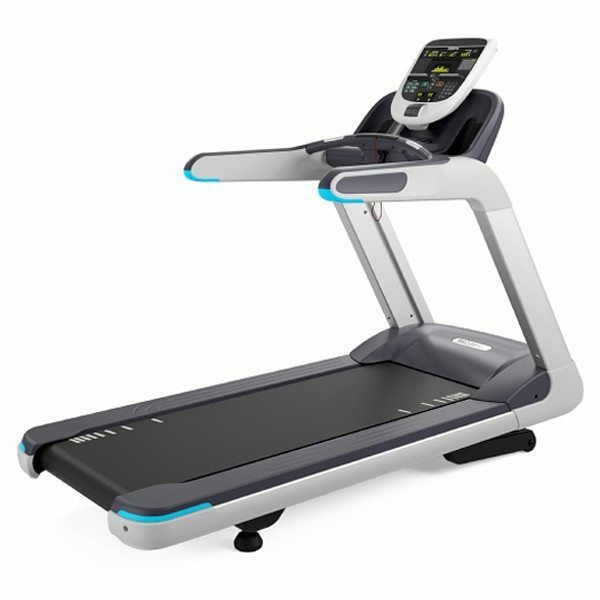 This model is very appealing to both walkers and runners.The Spirit XT485 Treadmill features a bright blue backlit LCD console, Quick Speed and Incline keys, wireless heart rate (telemetric chest strap included), remote Speed and Incline controls, and an anatomical figure that specifies which muscles are minimally and maximally activated. 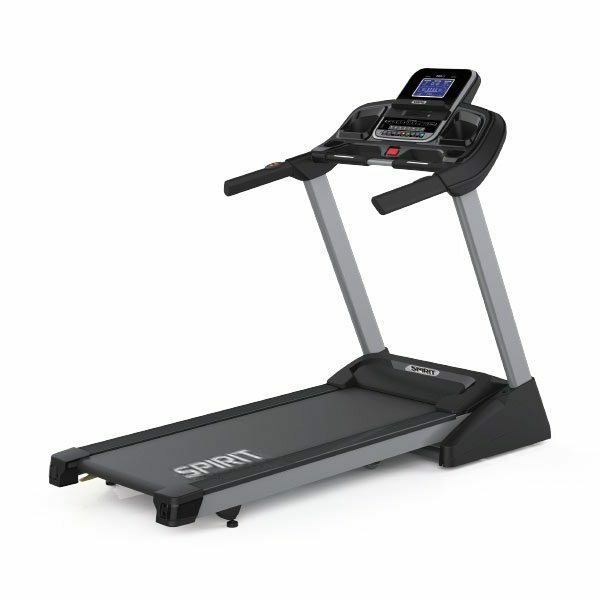 The Spirit XT485 Treadmill has the same options as the Spirit XT285 and Spirit XT385, plus 2 more programs, a longer 60″ long belt, and a 3.5HP motor. 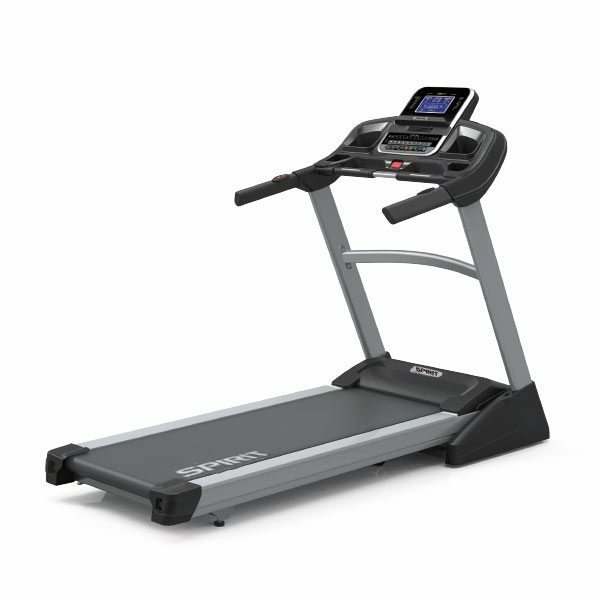 The Spirit XT485 treadmill is very appealing to both walkers and runners. 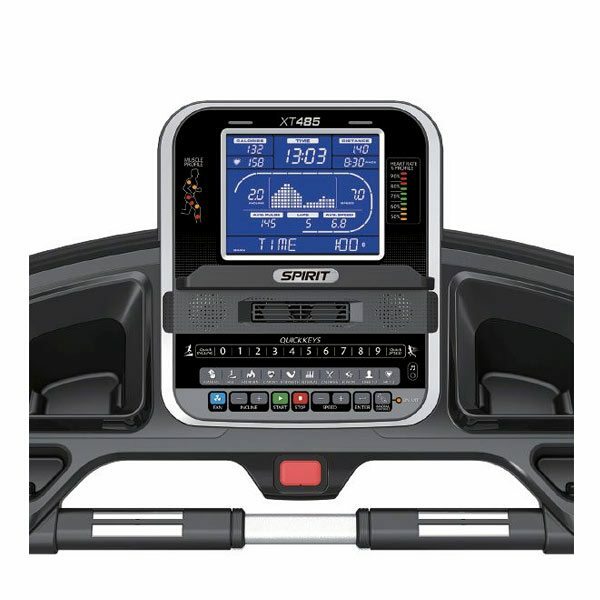 Numerous electronic features can be found on the XT485 including an oversized bright blue backlit display, Quick Speed and Incline console keys, wireless HR strap included, remote speed and incline handlebar toggles, and multi-color LED displays for identifying muscles activated and monitoring your heart rate. A leading consumer publication ranked the Spirit Fitness XT485 Treadmill among their top recommended picks for folding treadmills it their January 2019 fitness products edition. 5 categories were used for evaluation: Ergonomics, Construction, Ease of Use, Exercise Range, and User Safety. 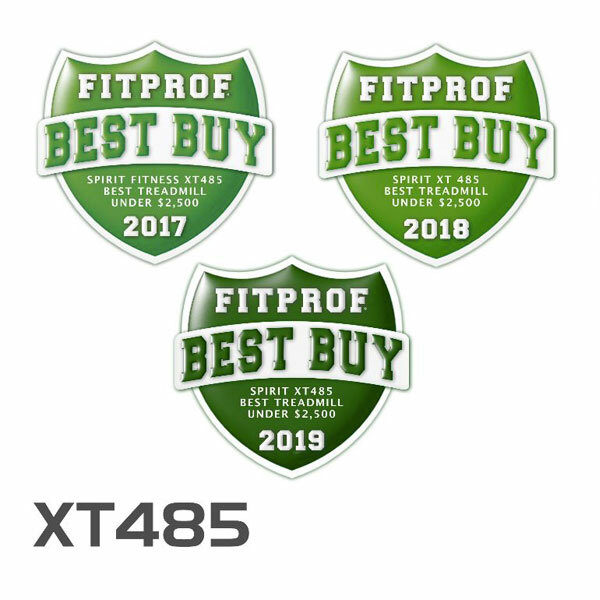 The XT485 ranked highly in all five categories. The XT485 also works with the SPIRITFIT App! 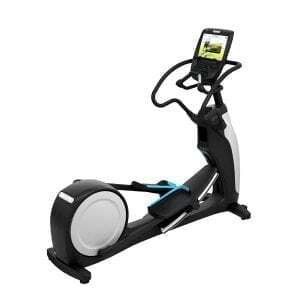 The SPIRITFIT App connects to your Treadmill, Bike or Elliptical via Bluetooth. You can view current workout data in three different Display screens on your device. Easily switch back and forth from the workout display view to internet/social media/email sites via icons on the display screen. When your workout is finished, the data is automatically uploaded to your personal calendar for future reference. And, the SPIRITFIT can share workout data to HealthKit, Fitbit, Record, MapMyFitness, Facebook and Twitter. This workhorse machine has a 20” x 60” workout area and a 3.5hp motor. The exclusive Fusion program integrates cardio and strength to help you achieve your fitness goals. Muscle Activation. To get the best results, it’s important to understand which muscle groups are gaining the most benefit during your workout. Spirit treadmills help you target several muscle groups: glutes (bottom), hamstrings (back of your thigh), quads (thigh), calves, pecs and arms. Cooling Fan. 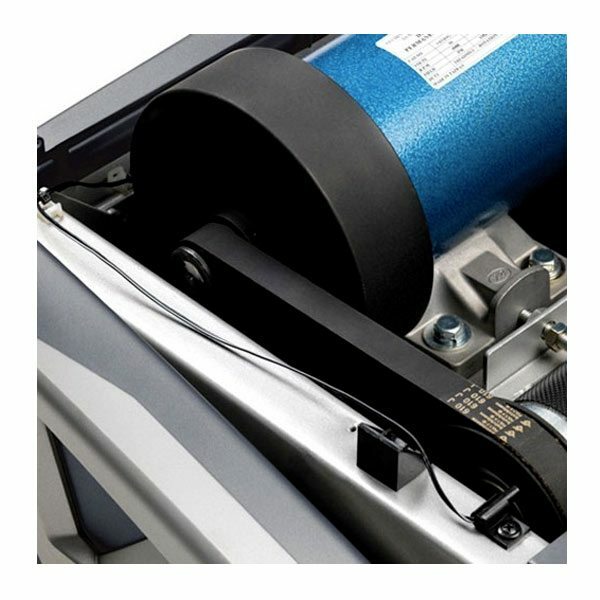 Extend your workout by a few minutes while enjoying the swiveling cooling fans that come standard on all Spirit treadmills. Quick Keys. The ability to quickly program a specific incline or speed with just a few key strikes. Mp3 Audio Jack & Speakers. Plug your MP3, Smart phone, or digital tuner into this jack for music broadcasting. Remote Adjustment Keys. Enjoy the ability to adjust the incline on the left handlebar or the speed on the right handlebar. If you decide not to use them, simply press the Disable button on the console. Fold-Up Design. This space saving feature allows you to easily maneuver the unit out of the way when not in use. 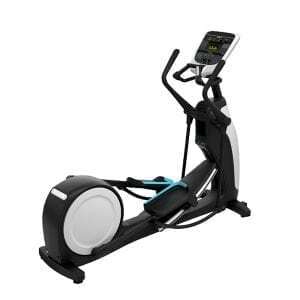 Dimensions: 82" x 35" x 57"
Numerous electronic features can be found on the XT485 including an oversized bright blue backlit display, Quick Speed and Incline console keys, wireless HR strap included, remote speed and incline handlebar toggles, and multi-color LED displays for identifying muscles activated and monitoring your heart rate. 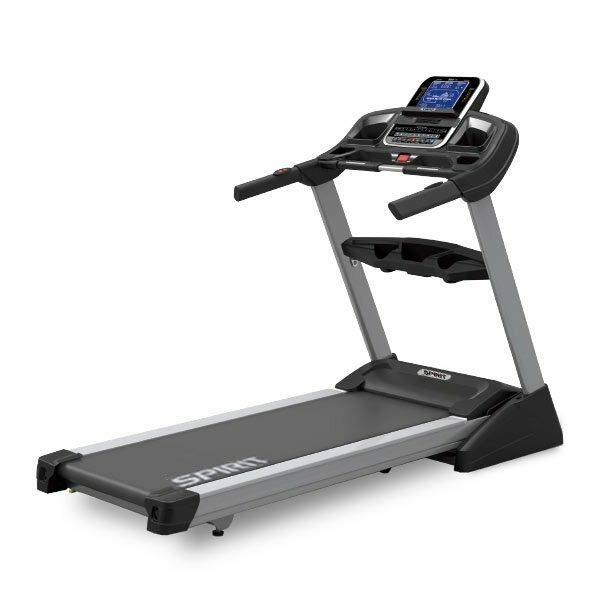 The Spirit XT285 Treadmill features a thicker deck and is perfect for walkers who want to transition to running. The Spirit XT385 Treadmill features a thicker deck and is perfect for walkers who want to transition to running, as well as mid-level runners. 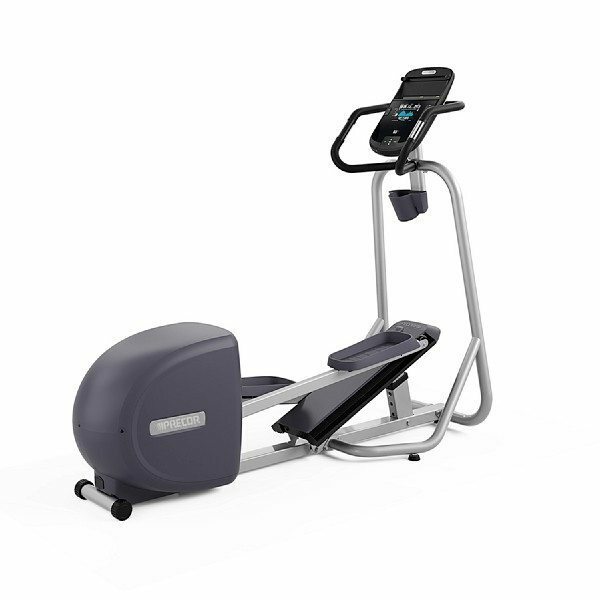 The EFX® 835 with Converging CrossRamp® combines reliability with a natural converging stride path to give you the perfect elliptical. Carrying on in the tradition of Precor reliability and service, the EFX is easy to clean and maintain with a covered ramp and rear drive housing, and Active Status Light™ – all to improve your fitness experience.